The Egyptian Exchange (EGX) is likely to carry on the volatile trend on Monday, analysts told Mubasher. The main indices of the EGX are expected to maintain the sideways trend today, head of the capital market committee at the African Economic Council Ayman Fouda said. The benchmark EGX30 index has a short-term resistance at 15,260 and 15,320 points, while it has support at 14,930 and 14,750 points, Fouda highlighted. As for the small- and mid-cap EGX70 index, he added that it has a short-term resistance at 705 and 715 points, while it has support at 693 and 688 points. 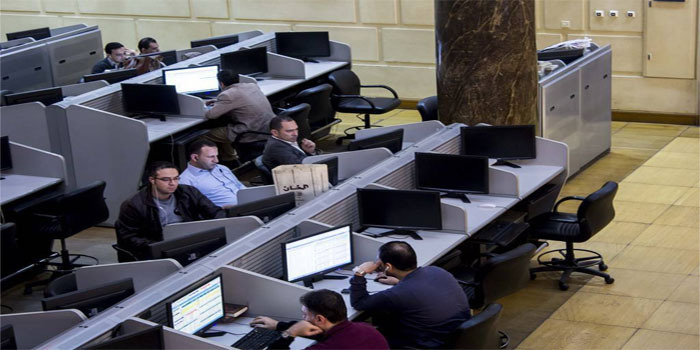 For his part, Osama Naguib, head of technical analysis at Arab Finance Securities, said that the Egyptian stock market would continue the sideways trend in the meantime. Naguib pointed out that the benchmark has resistance at 15,200 points and has main support between 14,800 and 14,600 points. The EGX30 index will move upwardly in the short-term and any decline it faces is a correction as long as the index is above 14,100 points, he indicated, adding that the index targets 16,000 points.